Mount round hangrails directly to your wall. 12 in. bracket holds 1 1/4 in. round hangrails. 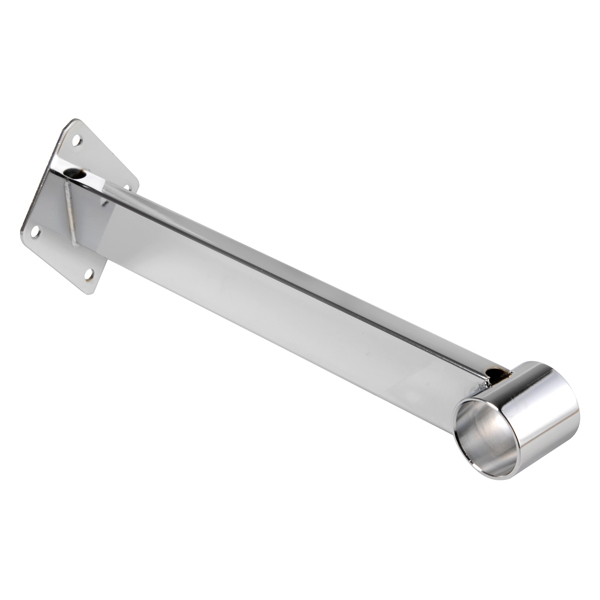 This bracket matches our Wall Mounted hardware to create and elegant look. Weight capacity depends on surface structure and mounting hardware. Mounting hardware not included.